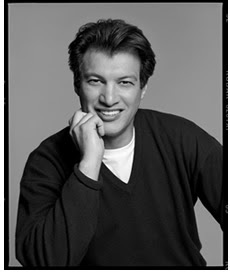 Did you know that Frédéric Fekkai was a model before he landed in the beauty and hairstyling worlds. He actually got inspired by the first stylists that cut his hair while on the modeling job -and he was inspired to take on the feat of becoming one of the most celebrated names in the fashion and beauty communities. I recently saw him speak at the fi:af-French Institute Alliance Francaise about his roots and future of his ultimate in luxury hair care business.